The Boeing 737 is the workhorse of Qantas’ fleet, making up more than half of all the planes that Qantas operates. 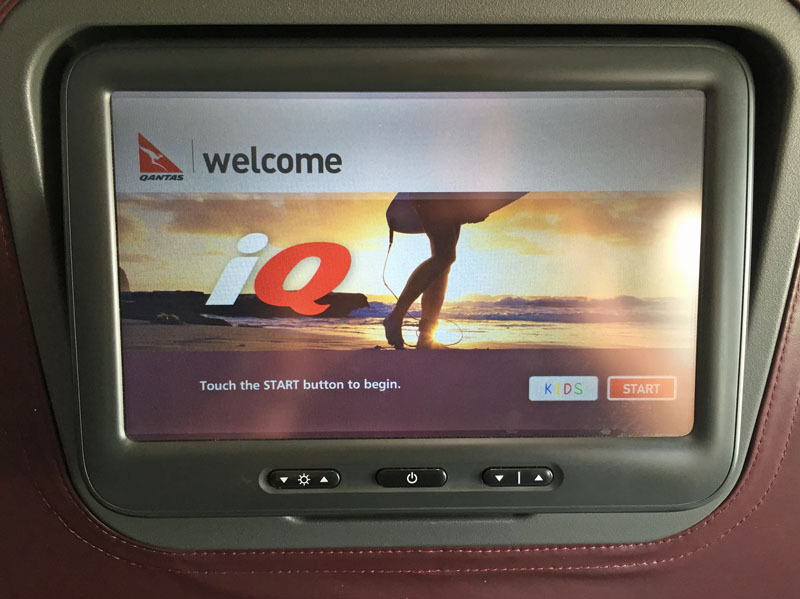 If you fly with Qantas on a domestic or short-haul international route, chances are you’ll do so on a 737. I’ve flown in both economy and business class on a Qantas 737 many times. While the business class experience can be hit and miss, I find it a lot more pleasant than the cramped seats and 3-3 layout in economy. Whether paying for a business class fare or upgrading with points is worth it depends on the flight and what’s important to you. If you’re thinking about flying business class on a Qantas 737, here’s an overview of what you can expect. Qantas business class passengers can relax in a lounge before their flight. 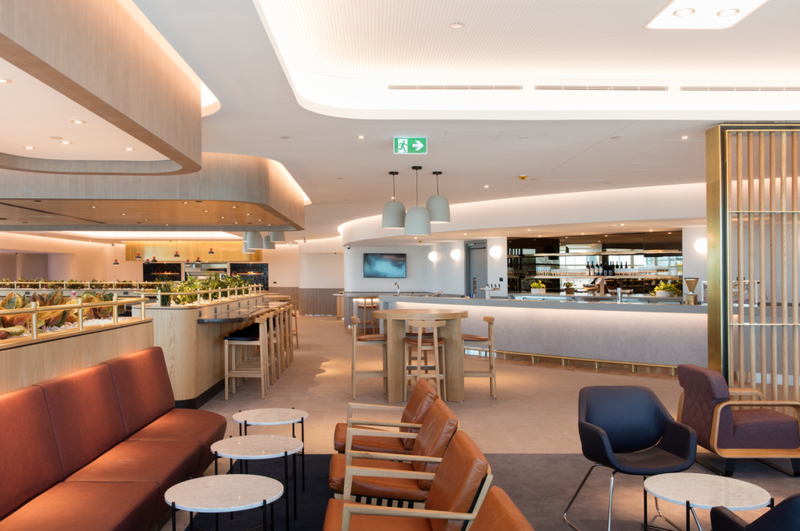 On domestic routes, you can enjoy a dedicated business class lounge (separate from the Qantas Club) at major airports, while at smaller airports you’ll usually have access to a Qantas Club. Qantas has a rolling program of lounge refurbishments, so if you’re lucky you’ll get to enjoy one of the newer spaces. When flying internationally, you’ll also have access to a Qantas or partner lounge, depending on the airport. The 737 business class cabin contains three rows of seats arranged in a 2-2 layout (for a total of 12 seats). There isn’t much separation from the economy cabin just behind: no curtain, simply a divider between the seats in rows 3 and 4, and a sign asking economy passengers to not enter the business cabin except in an emergency (which many ignore so they can use the toilet up front, despite it being nominally reserved for business class passengers. The flight crew rarely enforce this, however.). 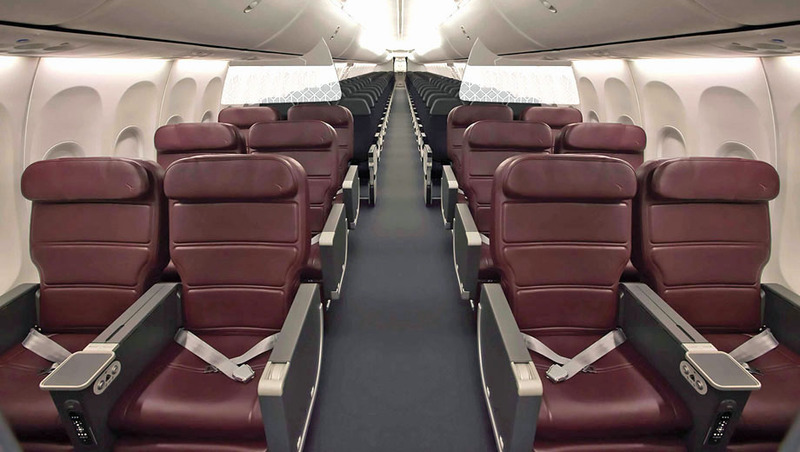 Qantas installed leather recliner seats across the 737 fleet a few years ago. The seats are quite comfortable to sit in, with 22 inches of width and 37 inches of pitch (i.e. the distance from seat back to seat back). They are not lie-flat, however. There’s a wide shared armrest and drinks table between adjoining seats. Each seat has back comfort controls, as well as adjustable leg and foot rests. On newer aircraft you’ll also find USB and AC power outlets. If you’re weighing up which seat is best, the advantages of Row 1 are that you’ll be served first and no one will recline on you. However, the bulkhead in front means there’s less space to stretch your legs and no floor space to store a bag. Row 2 is a better choice if you want more leg room, but if you’re in a window seat and the person in front reclines, expect to feel quite boxed in. In Row 3 you’ll have to wait longer for service (which risks your meal choice not being available), but one clear advantage is that you won’t be bumped by people sitting behind you, as there is lots of space and a divider between you and the first row of economy. If you’re travelling alone, you may want to select an aisle seat so you can get in and out without disturbing the person next to you. Pre-departure drinks are always served in business class – usually some combination of juice, still water and sparking water (and champagne on international flights). Shortly after take-off, the full drink and meal service begins. 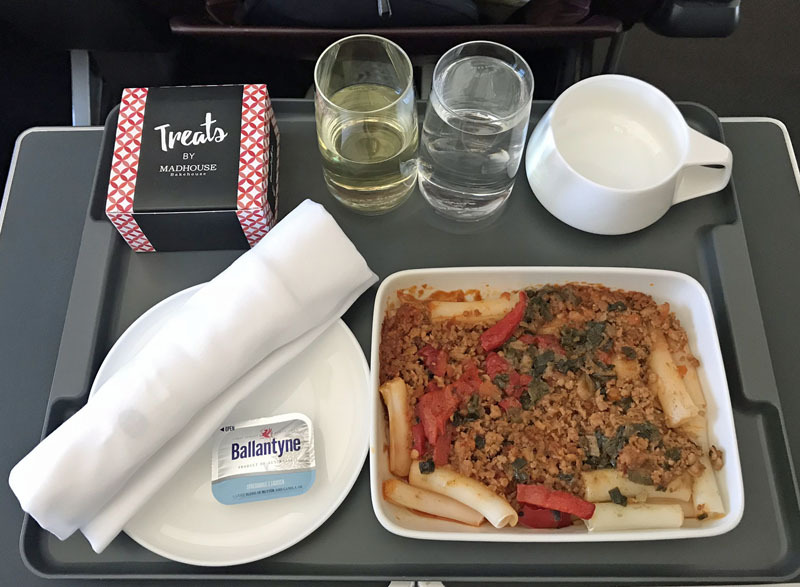 This is more extensive on longer flights, where you’ll typically get a selection of starters and main dishes, and a small dessert. On shorter flights, this may be condensed to a smaller selection of beverages and one dish from a choice of two or three options. In my experience, the quality of the food tends to vary, but it’s usually better on longer (3+ hour) flights. For example, on my most recent trip from Melbourne to the Gold Coast, just one course was served – breakfast on the way up (poached eggs with salmon and sauteed spinach, or a turkey sandwich) and lunch on the way back (Sichuan pork with noodles, or peri peri chicken with rice). 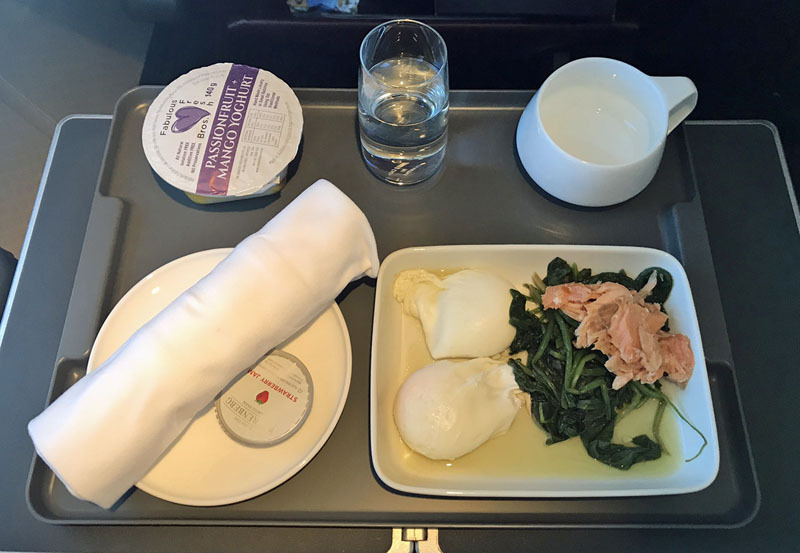 Both dishes were quite basic and not at the standard I’ve experienced on longer flights, such as to New Zealand. If you’re curious about the wine choices: on the most recent trip there was just one red and one white wine available, being the Tahbilk Roussanne Marsanne Viognier 2015 and Ladies Who Shoot Their Lunch Shiraz 2015. Both were decent drops. On longer flights, there is usually a third wine choice with your meal. 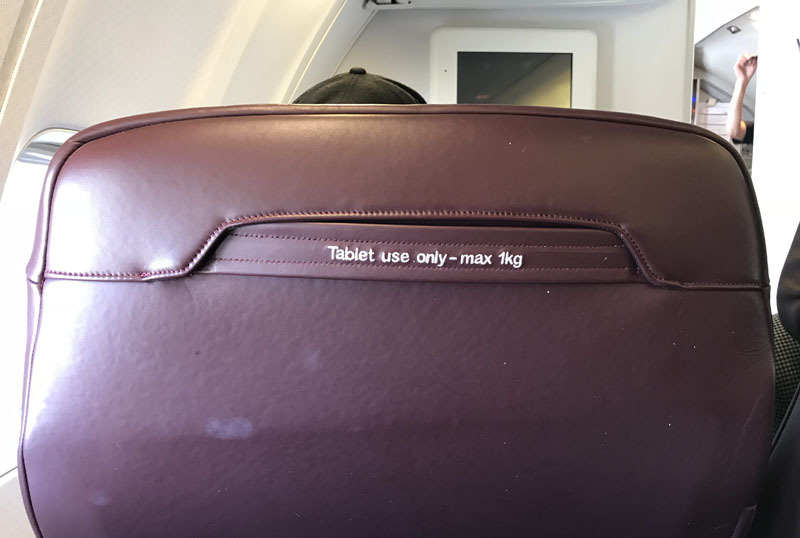 Roughly half of Qantas 737s sport 10.6-inch video on demand screens, while the remaining aircraft offer streaming video to personal devices or you can watch whatever is showing on screens that fold down from the ceiling (yes, that’s still a thing). Where there is streaming, the selection tends to be pretty good, with a variety of films, TV shows and music on offer. While it lacks any wow factor, the 737 business class experience is a significant step up from economy. 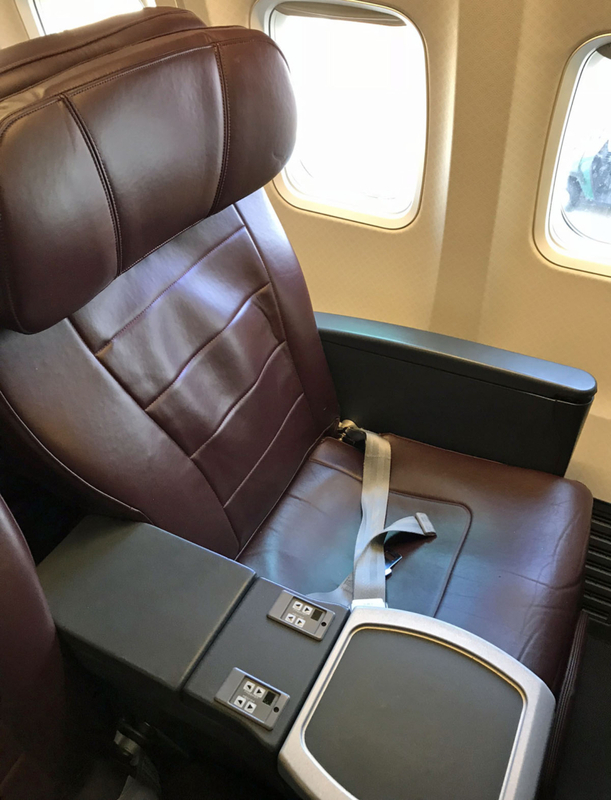 The leather recliner seats are comfortable, though they do have some drawbacks: namely, no direct aisle access for window seat passengers, restricted space if the person in front reclines, and no lie-flat option for sleeping – none of which is a major problem on shorter, daytime flights but would be on longer, overnight flights. 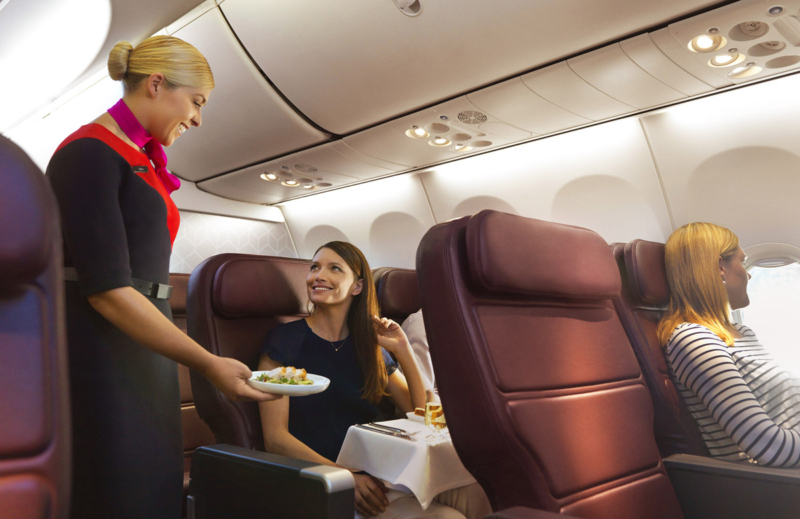 Qantas crew provide consistently good customer service in my experience, though the quality of the dining can vary quite a bit from flight to flight. 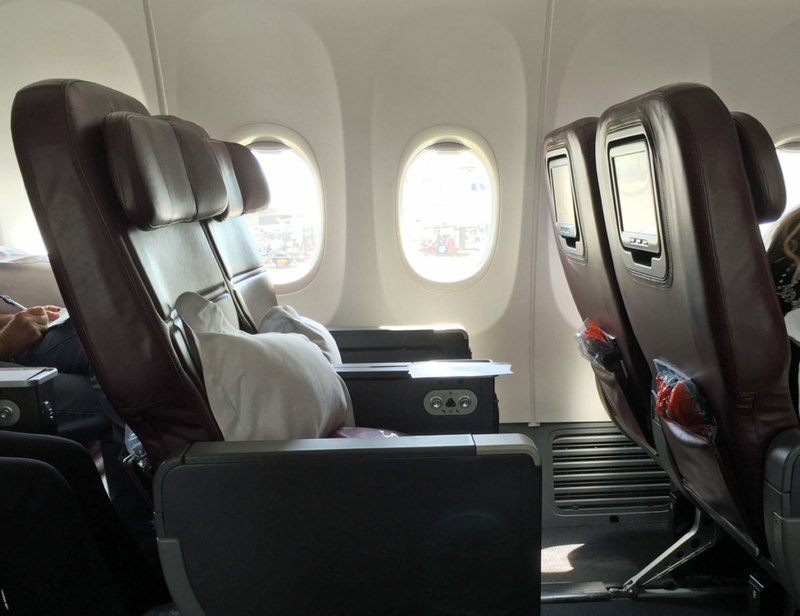 Overall, I find Qantas 737 business class to be a pleasant way to fly on shorter routes. If you have lots of Qantas Points to spare, or can afford the cost, it’s worth seating yourself at the pointy end. However, if money or points are scarce, you may want to save them for a more premium experience. Want more Qantas Points? Check out our favourite credit card sign-up offers, here. You forgot to mention that those 737’s that only have streaming have no power to charge your devices while those with the individual screens do have a power supply.